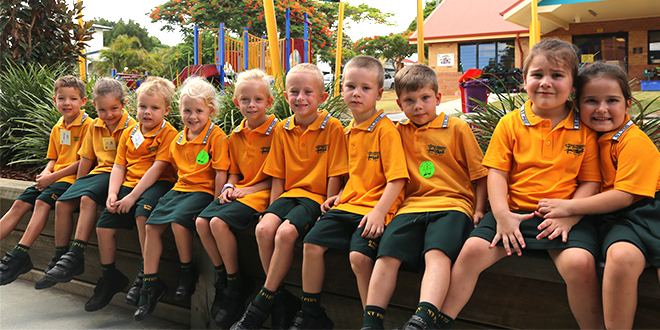 Double trouble: The five sets of twins Harrison and Zoe Dellit, Elliot and Eve Tooth, Callie and Evan Chapman, Nathaniel and Tristan Hetherington, and Grace and Evie Heibloem sitting in front of their playspace outside the St Pius V Primary School, Banyo Prep classrooms. 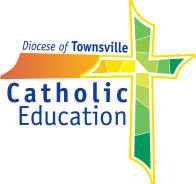 CHILDREN are multiplying like loaves and fishes at St Pius V Primary School, Banyo with five sets of twins joining the largest intake the school has ever had. Since 2009, the school has grown from 138 students to 430 students, with the largest Prep intake of 84 students too. School principal Peter Gordon attributed the growth to a few sources. “Once upon a time, you drove up St Vincent’s road and it was just bush, people have built homes and they continue to build homes,” Mr Gordon said. He said nearby factories and industrial sites were being demolished and turned into estates, boosting the school’s local demographic. “But it’s also our proximity to the Gateway (Motorway), so it’s a really popular area with young families,” he said. With the increasing intake of students came new buildings and infrastructure. Mr Gordon pointed out the freshly-built building, which housed the Year Two classes and one Year Four class. He said it was exciting to see it go up. “The students are in there, and they’re happy,” he said. Building works: Banyo-Nundah parish priest Fr Bernie Gallagher and St Pius V Primary School principal Peter Gordon enjoying the new building. But, the twins were split up into three classes – making learning names and telling the twins apart a little easier on the teachers. Prep teacher Ally Shipp said in her seven years as a teacher, she had never seen this many twins in the same cohort. “It’s very unusual that we have this many,” Ms Shipp said. But the students in her class weren’t fazed by the number of twins, she said. “On first day, it’s not really on their radar,” she said. Ms Shipp said in her seven years, the school had grown considerably. “It’s been great to watch and see, all the new buildings, new families, the new dynamic but we’ve kept the community feel,” she said. She was also grateful for Banyo-Nundah parish priest Fr Bernie Gallagher, who was at the school visiting the classes. “He’s here all the time, it’s great to have him involved in the classes – the kids love him,” she said. Mr Gordon said the school had a great relationship with the parish. “Fr Bernie is a wonderful parish priest,” he said. “He visits all the time. “He came and gave the staff a blessing on Tuesday, he came to our barbecue last Friday afternoon for Australia Day. One of the other big improvements has been in temperature. 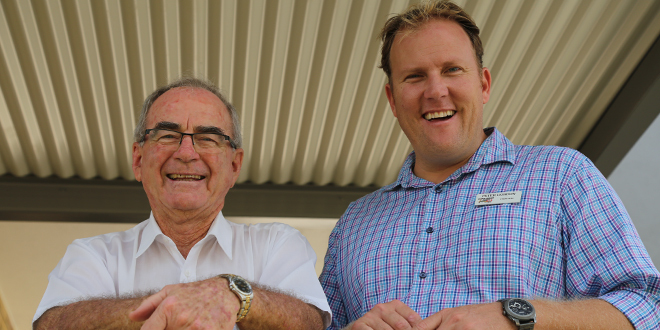 “All our school from Prep to Year 6 is now air-conditioned,” Mr Gordon said. He said in the heat, the school was also grateful for its pool.